Change may be hard, especially when modernizing legacy systems, but naturally it is crucial to explore “transformative measures” to keep enterprises competitive. Moreover, this can be a turning point for IT departments to prove how they can be part of businesses’ evolution — or risk seeing the transformation process handled by another party. IT teams may see their efforts to enact transformation and change stymied by such factors as the scale of the system to be updated but there may be ways to mitigate such issues, according to a survey conducted by IDG Research Services. Late last year, Insight Enterprises commissioned the survey, “Challenge of Change: IT in Transition,” which polled 200 IT executives from enterprises. The results show that just over half (51%) of the respondents hit roadblocks while planning and executing their IT transformation initiatives. In those instances, the difficulties they faced led to the initiatives being put on hold or being partially abandoned. One of the issues cited was the magnitude of effort needed to change or move on from legacy systems, some of which are used by upwards of 10,000 employees. The concept of IT transformation, O’Grady says, is really an effort by IT executives to change their departments to serve as the people who handle the overall digital transformation within the company, not just the legacy systems. If an enterprise looks to its IT department to be responsible for such a change, it takes advantage of the available digital technologies across the enterprise, he says. Companies might take a different route though, O’Grady says, and turn to an outside, third-party source for the bulk of the digital transformation work. This may happen because of an assumption that the IT department is better suited to focus only on the legacy systems. That can put an IT team in a position where they are not seen as part of the solution for overall digital transformation, he says. 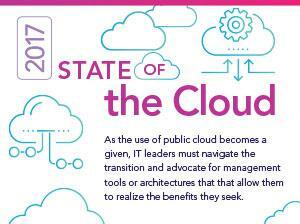 The needs for transformation can vary from enterprise to enterprise, whether it is adopting a cloud-first strategy or a hybrid cloud approach that retains some on-premise elements. 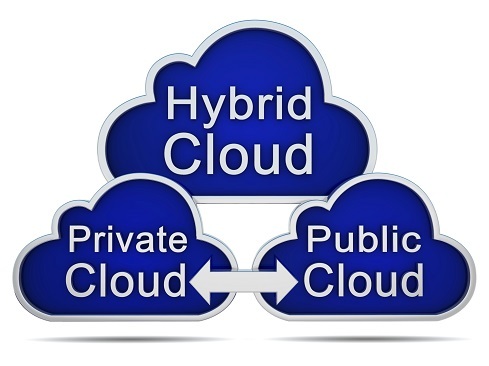 The cloud strategies can be private cloud networks or third-party services. O’Grady says his company tries to convince IT executives that they need to show their organizations that they should be part of the digital transformation process. That means repurposing themselves to demonstrate they have the capabilities and agility to help the organization with such changes. “Their company, in all likelihood, is thinking about how they use technology to differentiate themselves in the marketplace versus just running the company,” he says. That is a thematic difference from the traditional role of IT, which has been to maintain systems such as e-mail, enterprise resource planning, and human resources systems. Results from the survey by IDG point to the legacy infrastructure itself as the top barrier to transformation, as listed by 64% of respondents. The other top barriers to change include data security, cited by 60% of respondents; technology silos, mentioned by 59%; available budget, cited by 54%; and competing priorities within the enterprise, as listed by 53%. Money becomes the top constraint on transformation if each type of barrier is taken into consideration separately, according to the survey results. From Insight’s perspective, and based on the survey, a hybrid cloud strategy is a way to allay some of the issues that hold back transformation efforts. It allows companies to have the best of both worlds and use resources that fit their comfort level. According to the survey, taking the hybrid approach led to the most progress for 63% of the respondents who were updating their IT ecosystems. There is a significant human factor that affects transition efforts and shows a dire need for change within some IT departments. Based on the survey results, many respondents did not communicate their strategy for change across their respective organizations. Plans may have been documented but 39% of respondents had not shared those plans across their organizations, which could influence the pace of adoption for any type change. Meanwhile, 18% of respondents did communicate ideas to their organizations about updating their infrastructure, but they did not document those plans. Another 5% did not share or document their plans with their organizations. Only 28% of respondents had documented as well as communicated their transformation plans internally, which leaves plenty of room for improvement in IT teams, O’Grady says. “We think that’s a big gap.” Improved communication is essential to getting stakeholders such as CFOs to buy into transformation plans and recognize that IT teams should be included in the digital evolution of a company, he says. “People that are really valuable in an IT department understand what the business is trying to accomplish and have partnered to help them get that done,” O’Grady says.